Main issues in property key management. With advancement in technologies such as access cards and access control systems, still majority of properties use physical keys to access a property. Considering the volume of rental properties under management and the simple fact that physical keys go missing more often that we would like to see; we can say misplaced or lost keys are major issues in property management industry. We prepared a quick note on how NFC tags help property managers to effectively manage and track keys. Continue reading as we identify major issues in property management as well as simple NFC solutions. As with any business, property management has its own problems and difficulties, manual logging of keys and paper-based tracking is one of the main issues. The problem is not just the manual work but also security and accuracy of key tracking are in question as well. In most cases when a key is missing, property manager does not know when exactly the key went missing. A key might be missing for over two weeks before it is realized because there was no alarm, alert, reminder or service set for the key. 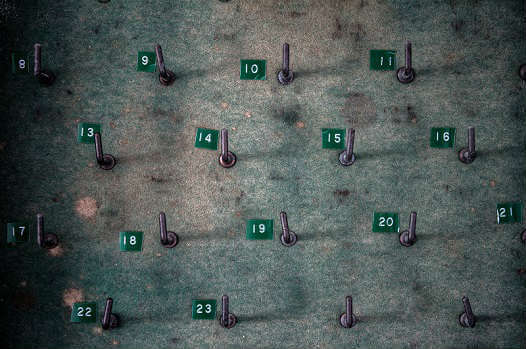 We have seen some property managers use manual calendar reminders together with manual spreadsheets to track keys. The problem with that is the dependency on staff, future calendar updates and reliability on multiple technologies from different providers. A small issue can jeopardise the integrity of such important process, such as corrupted spreadsheet or missed calendar reminder. This was the property management side, but we should also see what owners and investors expect from property managers. When a property manager is pitching their services to investors or owners, they need to prove efficiency and professionalism. Whether commercial or residential property, owners demand quality service. It is crucial to show how safety and security of property is managed and what tools are used to assure these. In recent years the use of NFC technology has become mainstream, meaning it is now low cost to use for any business size. In property management and facility management industries, NFC technology is an absolute cost saver. Having said all of this, how does NFC work in property key tracking? Read below for a simple explanation. How does NFC tags help property key management? To put it simply this is how NFC works in key management; every key is equipped with an NFC tag. 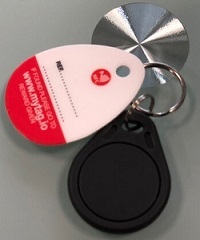 This NFC tag is a simple key ring, a light, small and low-cost tag. These tags are pre-registered to a system that can confirm the tag’s number and authenticate a read. We use MyTAG, property key management system which is a cloud-based solution that reports on real-time. Every time a key is taken, the tag is scanned and logged into MyTAG system. Scanner could be a NFC enabled phone or a tag reader connected to your computer. This makes the process very fast and secure, no manual entry or handwritten log-books. Once the tag is read, you are taken to MyTAG cloud-based system in which you can enter the key holder’s name and details, as well as setting up a reminder for when the key is due back. This simple reminder sends an email and text message to both key holder and the manager as reminders. The main benefit of using NFC cards plus an automated system to manage your property keys is, that you reduce the time and effort to track a key holder, there are automated reminders for both parties and real-time tracking of each key tag. The conclusion is that the age of manual logs and books are almost over, the low-cost of NFC solution is now enabling any size property management company to afford automated key tracking system. There is little to no set-up time required and this means you have your system up and running without disruption of service. It is also worth it to mention that the data you get from system can shed light on how your business is managed from bottom up, find problem points and fix them.